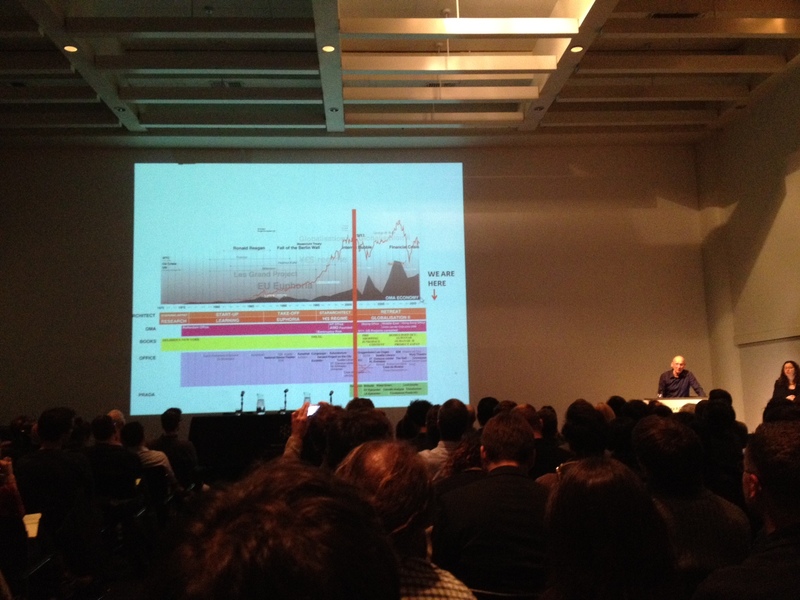 With the generic title “Current preoccupations,” Rem Koolhaas presented on Monday at Harvard Graduate School of Design, his (according to GSD dean Mohsen Mostafavi) current preoccupations. Disconnected or not, the themes of his lecture would range from Stararchitecture, The countryside, The Metabolists, and the Power of Media. The lecture started by comparing current architectural practice to that of the 50′s and 60′s, pointing out the disappearing of architects from the media (the latest Time cover featuring an architect was that with Philip Johnson in 1979) to question if architects can be taken seriously nowadays. 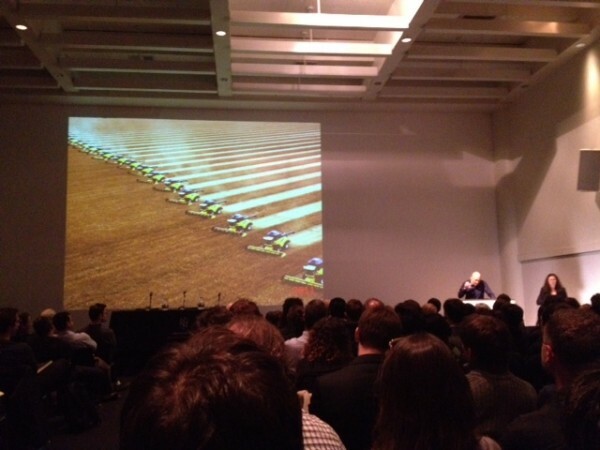 Rem Koolhaas’s concerns for the countryside were followed by his strong, for the last years, interest in Middle East. He referred to his 2nd Al Manach book, as “Middle East talking about itself” (40 authors wrote for themselves) and the importance of the Arab family. His Doha interest is driven by the imaginative for transformation he finds in it (along with political families, like that of Obama). Doha, according to Koolhaas, aims (with a clear mission) to become a leading example, a prototypical place for the modern, contemporary Islam, where people like Koolhaas is deeply interested to participate, think, learn and experiment with. 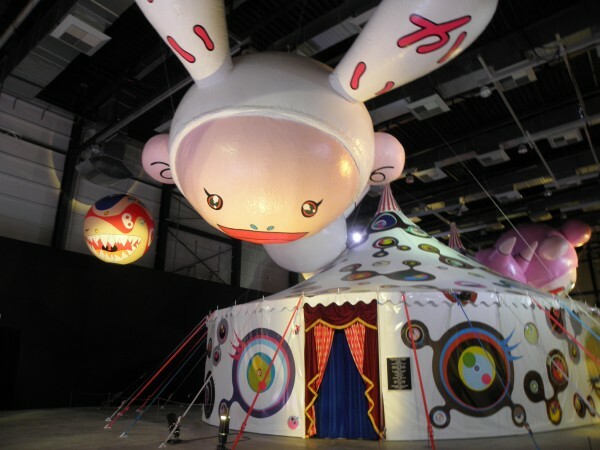 To prove somehow this possibility for transformation, he showed the case of the Ego, Takashi Murakami‘s exhibition in Doha, as a creation of something that could never exist in the west, as a big investment between the west and the Arabic world. 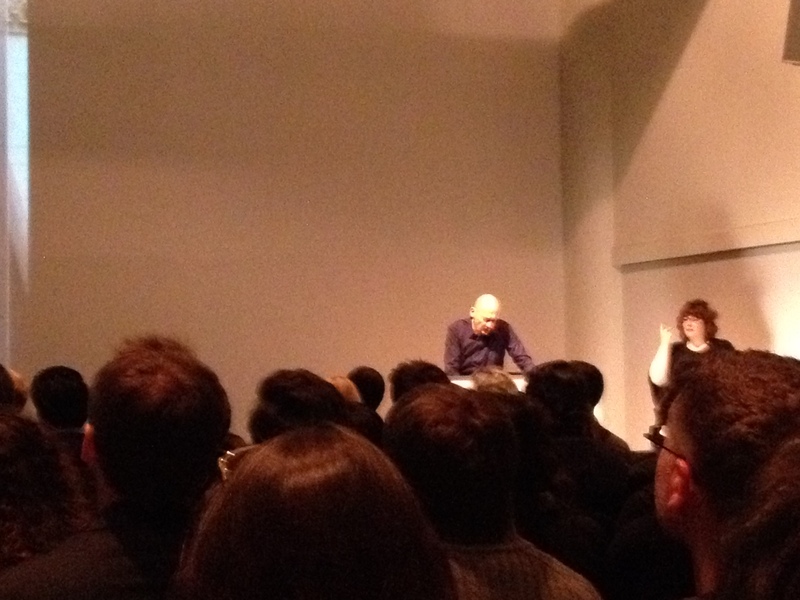 According to Koolhaas, such synergy is a very important key for the 21st century. 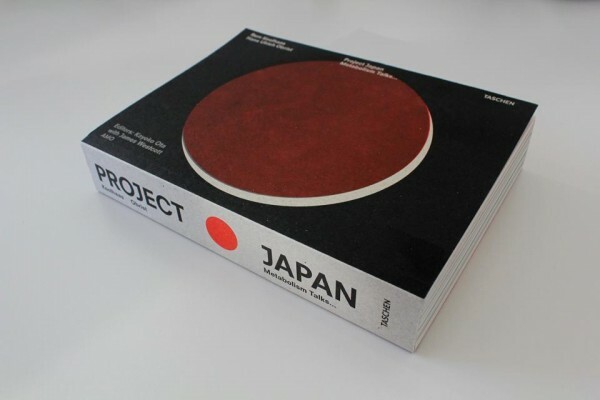 With Murakami, as Japanese, being a possible connection, but in fact the notion of (possibility for) transformation as a more possible one, Koolhaas, jumped to talk about his latest “Project Japan: metabolism Talks” book. Structuring it with historical chapters and interviews with the architects, their wifes, and their 2nd wifes, Koolhaas created “Project Japan” as something for which he deeply cares. Koolhaas talked about the history of Japan, the imperial period, Japan’s invention to China, the problematics of Japanese topography, the large scale, things that perhaps had influenced the teachers of the metabolists, and created the impulse for what was about to follow. For Koolhaas, the modernity coming along with the Metabolists, is not the modernity as we know it, but is a modernity connected to Japanese tradition, in fact “it is 50% past and 50% future.” Koolhaas focused a lot on the example of Kisho Kurokawa, for his educational, architectural practice approach, initiatives, and mainly for his ability to create an incubator for metabolism. 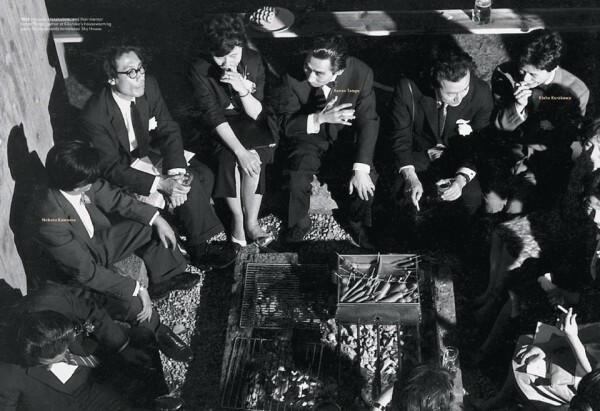 He talked about “nostalgia” for such an epoch where architects would maintain friendship, community, would sit and discuss one next to the other, like Noboru Kawazoe, Kenzo Tange and Kisho Kurokawa. He did not avoid saying how unthinkable this is today for architects: to maintain such friendship, to produce and live together. 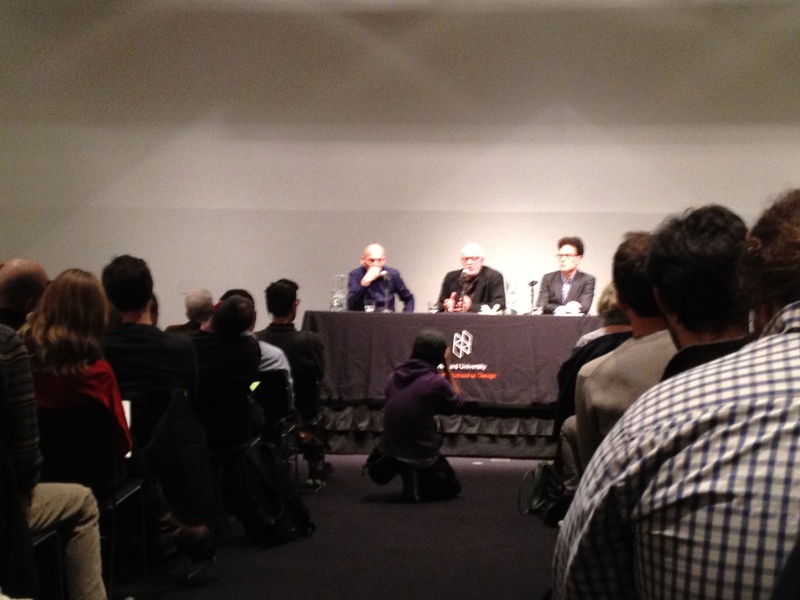 K. Michael Hays and Sanford Kwinter were the two brave theorists to moderate the discussion and deal with Rem Koolhaas phenomenon. The continuity of the conversation was impossible, if not difficult, but its theatrical character almost necessary for the institutional community of GSD. Observing the dynamics among the agents was equally, if not much more exciting, compared to what it was actually being said or communicated. Kwinter’s spontaneous “I am jealous” for the life and career of making books and buildings and essentially changing or, with Rem’s words, transforming the world was one of the first statements in this dialogue. He would continue to express his admiration through phrases to signify participating in a battle. Other topics mentioned were bureaucracy and corporate firms, the avant-garde, conflict, politics, etc. One of the most architectonic comments would derive from Hays regarding how lighting and circulation space become new materials for architecture (example the HdeM parking in Miami). 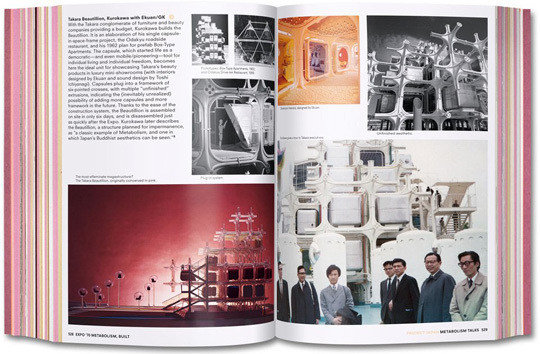 Hays questioned how essentially we return to pure structures, the mechanical systems, as raw material for architecture. In a way, it is a disengagement from the wrap (the wrap disappears?). Kwinter read geography as Rem’s “huge preoccupation” and Hays extracted that Koolhaas in Strelka Institute, in Russia, teaches everything except the cities! Questions of the audience would range from being “mean” ( Are you approaching the end of your career? ), to “informative” (What are the strategic missteps of the Metabolists? ), to “humanitarian” (Are you planning to engage the less wealthy?) and “research-agenda” (how do you unify your diverse research interests?). It seems that lot of issues presented in this lecture would deal with the need to discover, identify, or construct possibilities for transformation. The noun transformation along with the verb disappear would be the two notions that seem to recurse throughout the night around different themes: people, form, nature, and so on. One would wonder are these connected? How does transformation take place when things start to disappear? Or, are these simple statements (begin-end-begin of periods) to control architectural trends similar methods with which fashion designers, tastemakers, or brand strategies define the directions the masses should follow?